The M.S.S. instantly tranforms your intake grill into a true overflow within seconds. 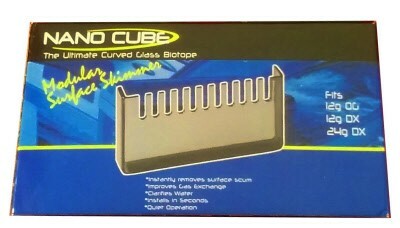 Gets rid of that water line yuck in your Nano Cube aquarium. Takes just 3 seconds to put on your tank. Great for the 12 gallon regular and 12G deluxe and 24G tanks. Made by Aquaeurousa.